He started off learning keyboards when he was 9. When he was 17 he started learning Western Classical Piano after he got inspired by his visit to Trinity College London. He learned under a teacher for some time and then started learning the instrument by himself. Later on after high school while doing his Bachelors in Computer Application he started listening to a lot of Jazz, Blues, Soul, R&B and Electronic Music and started exploring and learning Jazz by himself. After finishing his bachelor’s degree in Computer Application he went on to pursue his all-time passion for music as a career which he wanted to. He also has been a Piano Teacher with Furtados School of Music for 2 years and has taught over 900 students from a lot of schools in Mumbai. He also performs with his own band ‘CuttleFish’ which plays a neo-soul and experimental music and currently working on their original material. 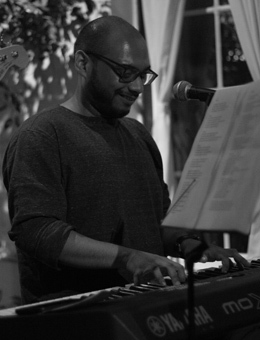 He is currently the CvA coordinator at True School and he also teaches Keys & Arrangement for Producers.